CarGurus has 15,328 nationwide Corvette listings starting at $3,450. The 2000 Chevrolet Corvette offers, at a great value, the balance of speed, style and power one has come to expect of this American sports car. The C5 group maintains its standard 2-seat, fiberglass body in three styles: coupe, convertible and hardtop, all with the beauty and style necessary to attract attention on the road. The emphasis here is on performance, an improvement over the C4 generation's: active control brakes, Z51 suspension and optional 3-mode adjustable shock-absorption controls guarantee a smooth ride and precise handling. Features are adjustable by car, and though some auto-shifters may find the extra precautions irritating, if only in principle, none interferes with the high quality of driving offered by the C5. The car responds with extraordinary precision and handles sharp curves, bumpy roads and high speeds with equal comfort. 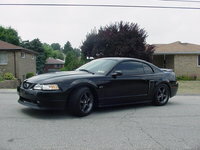 Supported by a 345-hp, 5.7-liter V8 engine and 350 lb-ft of torque, this car goes from 0 to 60 mph in less than 5 seconds. Consumers consistently applaud the 2000 Corvette for its performance (acceleration and handling), great styling (inside and out), improved comfort level over the C4 (1984-1996) and overall bang for the buck. 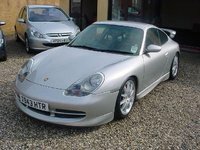 Many feel this car offers all the performance of more-expensive sports cars (Porsche 911, etc.) for far less money. 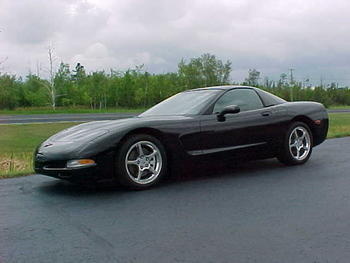 What's your take on the 2000 Chevrolet Corvette? GuruZJSPV just bought a 2000 year from my neighbor who upgraded to a c7 paid peanuts for it only14k with 43k on the clock garage queen babied with all paperwork receipts etc from new.this thing to me is a perfect sports car awesome power and looks to match my daughters corolla cost more lol love having it in my garage hope my neighbors c7 works out because he is not getting it back. Have you driven a 2000 Chevrolet Corvette? 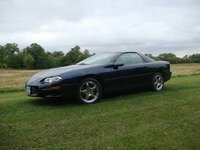 How Do I Re-list My Car For Sale? 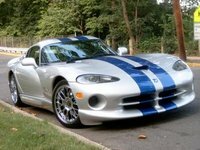 How do I relist my car for sale? I had to stop the listing due to travel. The listing still shows in my profile and I have updated it. How Do I Repair My Headlight Issues?